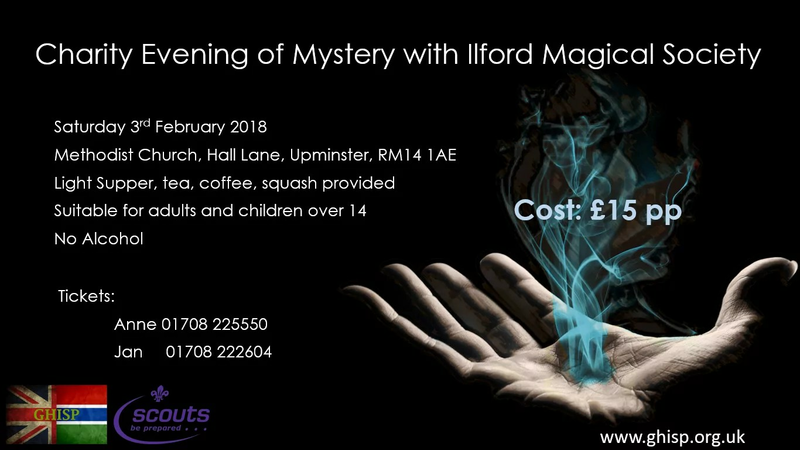 As part of personal fundraising, some explorers are hosting a magic night at Upminster Methodist Church on the 3rd February 2018. Entry is £15 per person, doors open at 7pm for a prompt start at 7:30. For more details see the flier and to book tickets please complete the form below.